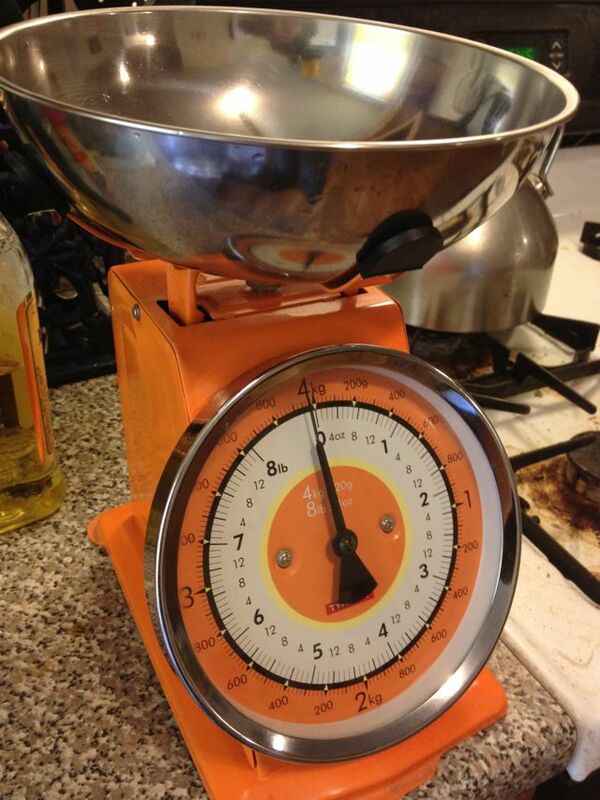 Beautiful and useful for measuring ingredients that often are by weight rather than by volume, a kitchen scale is invaluable. Although sometimes I just use it for figuring out which tupperware has more lunch. 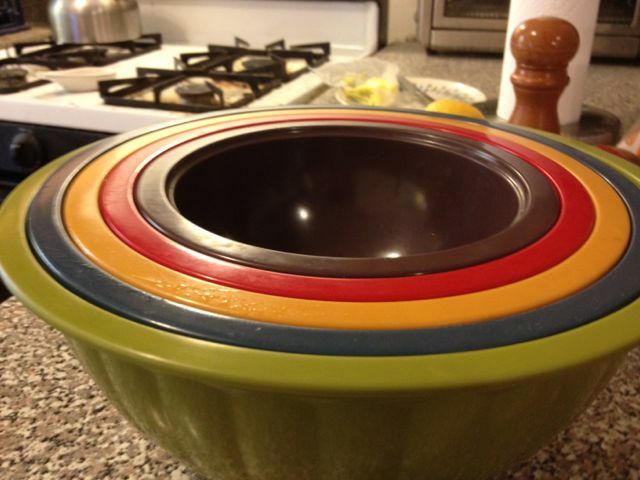 I once made the mistake of bringing a salad to a summer barbecue in the yellow bowl. I didn’t see it again until January when my friends were moving out of their apartment. Last time I’ll ever make that mistake. 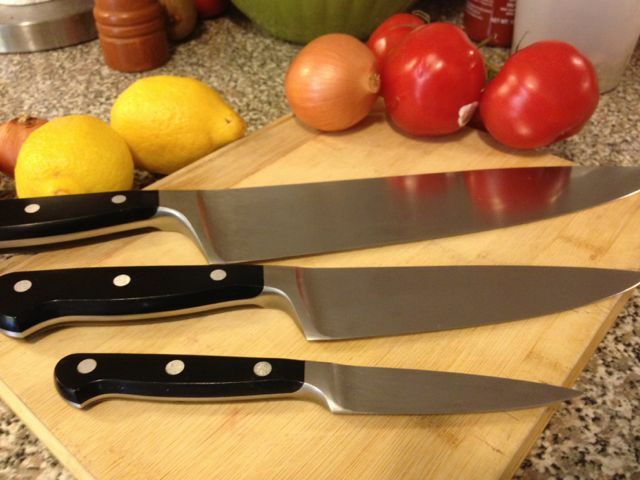 Sharp knives ensure everyone has their fingers at the end of the meal. The big one is a ten inch chef’s knife, the other a six inch knife. The little paring knife works well on delicate jobs, but often my roommate borrows it for calzones. Additionally I also have a carving knife and a serrated bread knife.